Lindblad Expeditions’ share price has risen nearly 75 percent to $15.10 at press time from a 52-week low of $8.66, for the largest relative increase in the cruise industry over the past 12 months. Lindblad may also be setting a record for average ticket prices, which reached $1,230 per day for its expedition voyages, up from $1,162 for the same period last year. 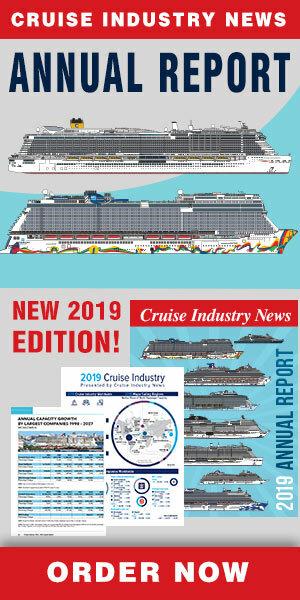 The booking adventure cruise market and its potential, with over 30 new ships on order, is highlighted in the 2018 Expedition Market Report by Cruise Industry News. For the first six months of 2018, Lindblad reported net income of $10.0 million compared to a loss of $1.9 million for the same period last year (including its Natural Habitat subsidiary), on revenues of $151.9 million and $118.7 million respectively. Lindblad attributed the increase to the additional capacity offered by its new ship, the National Geographic Quest, increased occupancy level, higher pricing and fewer drydocks. As of July 31, 2018, the Lindblad stated that its cruise segment had 99 percent of the full year 2018 projected guest ticket revenues on the books, similar to 2017 guest ticket revenue at the same time last year. Not providing a per share earnings guidance for year, Lindblad stated instead that its it forecasting revenues to be in the range from $308 to $315 million for 2018, compared to $266 million last year, and EBITDA in the range from $54 to $57 million, compared to $41.7 million last year. Lindblad also recently expanded is relationship with National Geographic with the addition of Canada and Latin America markets beyond its existing agreement covering the United States, Australia and New Zealand. Lindblad has a second coastal vessel, the Venture, slated for delivery in December, and two polar expedition vessels, the Endurance slated for delivery in 2020, and a second-yet unnamed vessel for 2021. If Lindblad maintains its existing fleet with an estimated capacity of 21,894 passengers, the additional vessels are expected to boost its annual capacity to nearly 35,000 by 2022 (with full-year operation of its second new polar vessel), according to the 2018-2019 Cruise Industry News Annual Report. In addition, Lindblad has one more option on a polar vessel.